I've read that the 2 replicas at the bottom are 1/43. They are made out of foam. 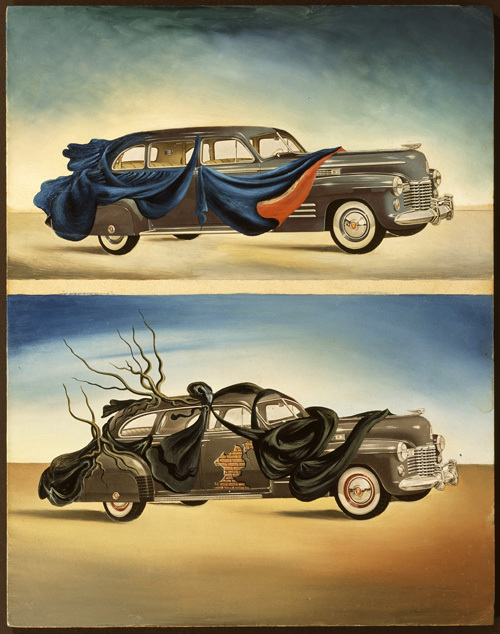 The title of the painting is either "Clothed Automobiles", 1941 or "The Ghosts of Two Dead Automobiles".